Time, I regret to say, marches on, and each era a new crop of young musicians. We can hate and dismiss all post-G pianists. Or we can check them out. Even put on our Sunday best and go to a concert at Carnegie Hall. 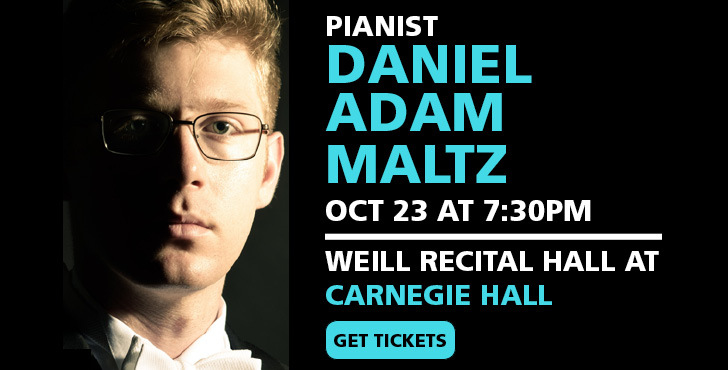 Anyone know anything about Daniel Adam Maltz? Opinions? Praise? Curses? YouTube links? Wishing you all a nice (Northern Hemisphere) Autumn and a warm, cozy Winter.